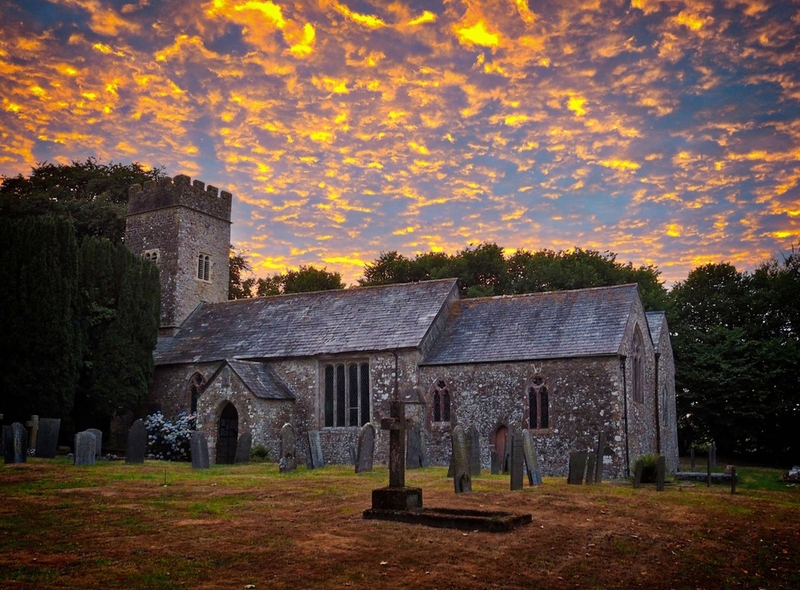 Holy Trinity Church is set in the beautiful Devon countryside. 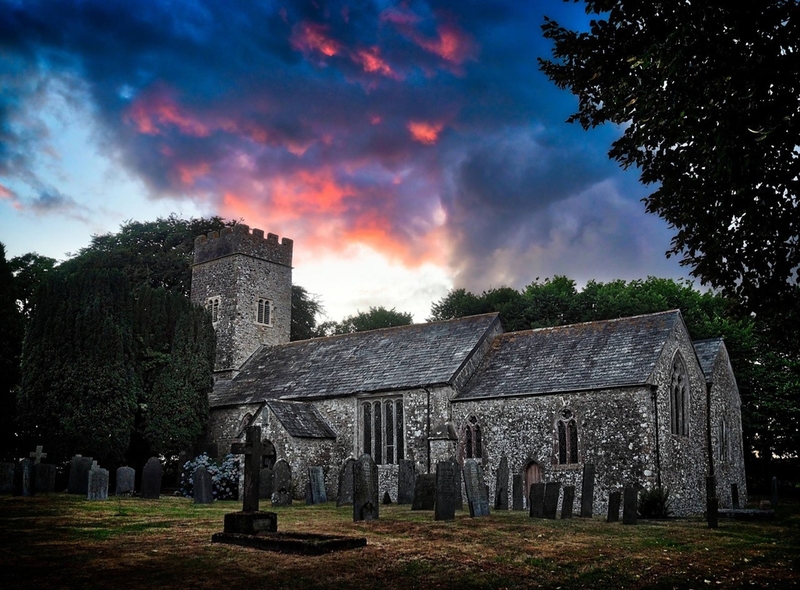 It is an ancient church, with fragments of it being Norman, though it may be much older as the Saxons living in Devon had become Christianised long before the arrival of the Normans. The earliest part of the building is thought to be be on the site of a Saxon place of worship. We know that there was a village to the east of the church with a manor house. The village was burnt to the ground after the people who lived here contracted the black death around 1349 and the community was all but wiped out. Just one cottage remained which has survived to this day. 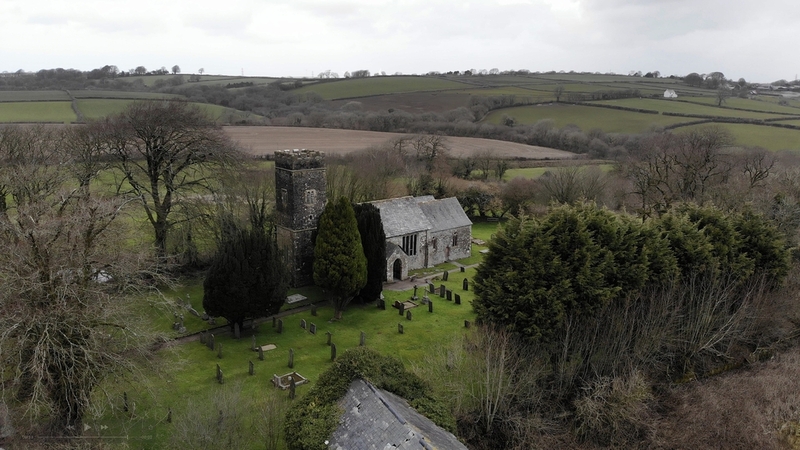 It is a Parish church of late C13 origins with C14 fabric, The north aisle is C16 with a straight joint clearly visible between it and the chapel. There is a very good plaster on the wall which is thought to be early work by John Abbot of Frithelstock . It is dated 1664 and is the reign of Charles11. The tower was struck by lightning in the year 1879 and the church lay in ruins for 20 years. 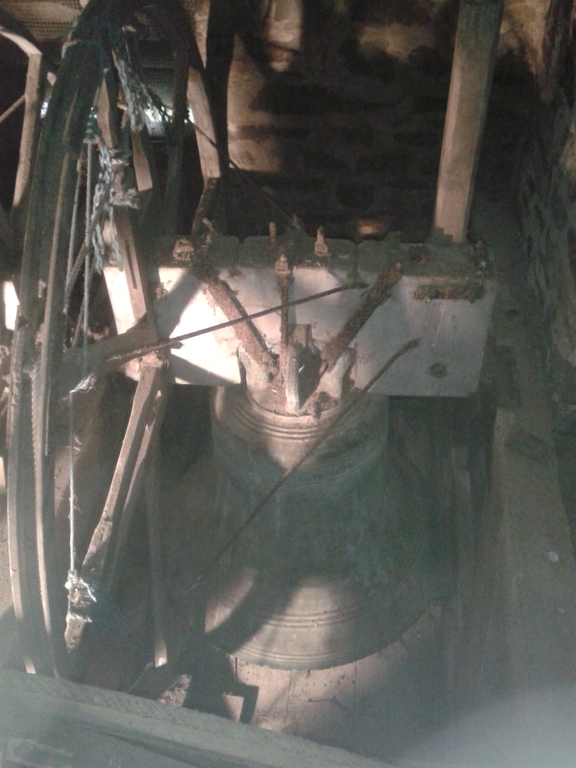 The tower was partly re erected in 1892 and the church was opened again in 1904. 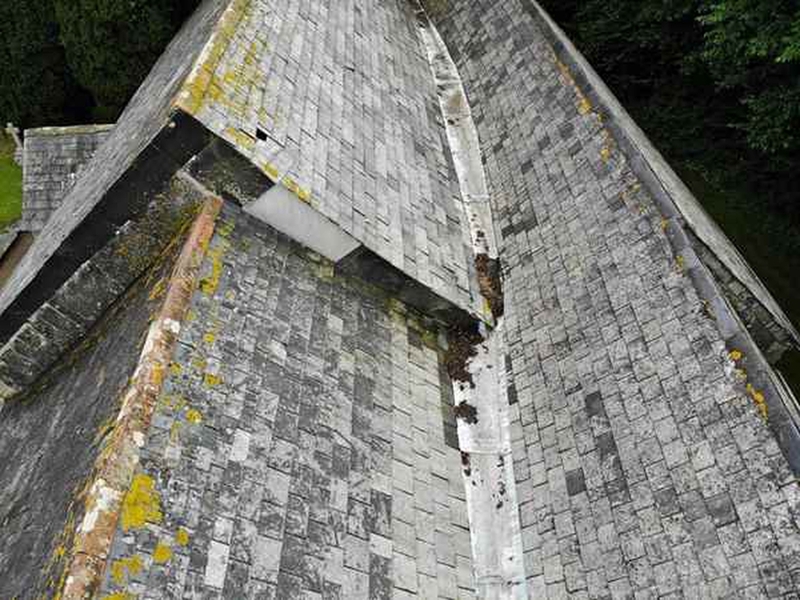 Our church is badly in need of roof repairs, water does come through and plaster is falling. 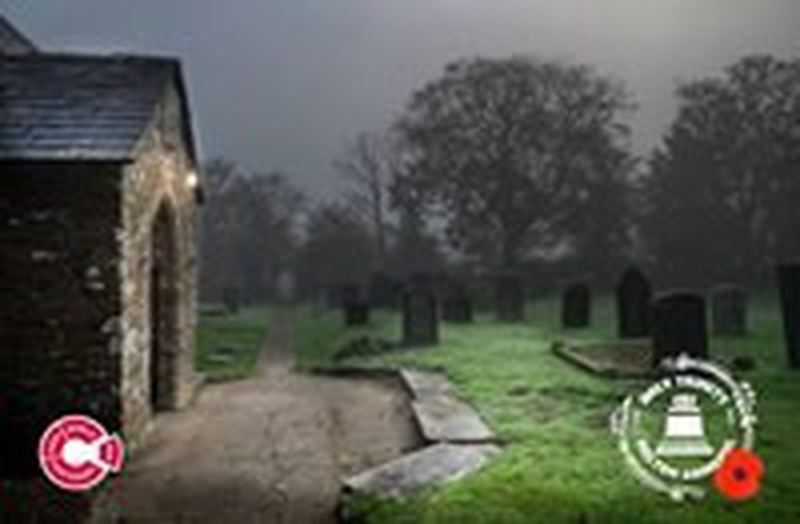 We are working hard to save our church but money is hard to find, lottery funding has been refused three times already . It is a church with a warm and loving atmosphere from the moment you enter the door it encompasses you. Our church has not been 'modernised' in any way, very little has been done to it since the tower rebuild. The local people rebuilt the tower in late 1800's - we would not want to be the generation that locks the church door forever. 15 Nov 2018, 12:15 a.m.